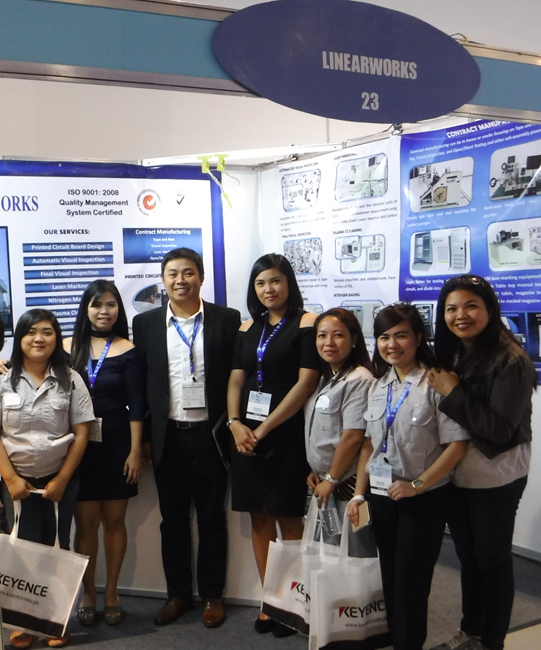 Linearworks Corporation joins for the first time the biggest annual 14th Philippine Semiconductor and Electronics Convention and Exhibition (PSECE) produced and organized by Semiconductor and Electronics Industries in the Philippines, Inc. (SEIPI) held last June 21-23, at SMX Convention Center, Pasay City, with the theme of “A Stronger Electronics Industry through Closer Industry –Academe Linkages”. 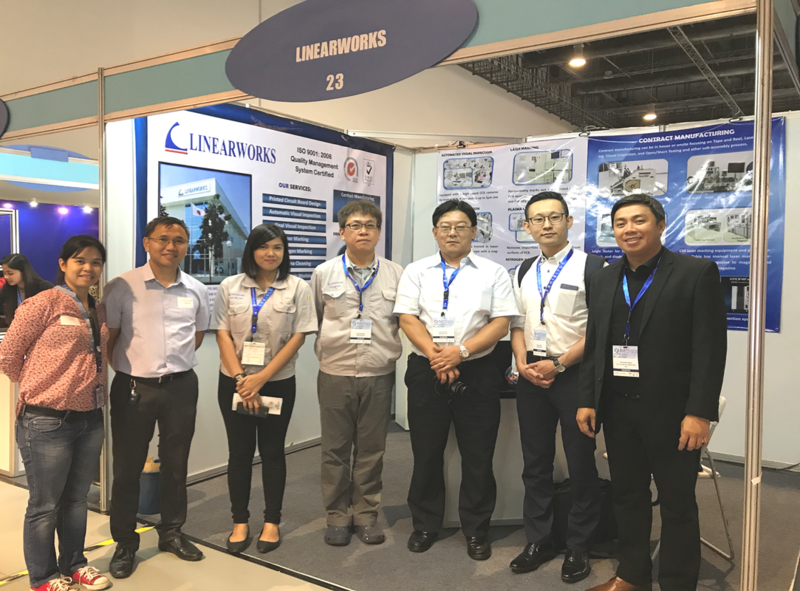 Joined by over 1,757 delegates from different companies, local and foreign industry leaders, Linearworks showcased its manufacturing services for the Design and Inspection of Printed Circuit Board as well as the Contract Manufacturing Tape an Reel process. "The PSECE is the Philippine electronics industry’s premier business platform where industry leaders, top middle management, industry professionals from the semiconductor and electronics manufacturers, and support industries convene to discuss issues, future directions, and matters of strategic importance to sustain the competitiveness of the industry." (FASTECH AND FAITH TO HOST PSECE 2017, 27 March, 2017). The annual exhibit and convention also gives opportunity to electronics companies in the Philippines and abroad to take part on this event to offer services, present their latest innovations and developments, meet and seek potential clients, partners and suppliers to keep the electronics industry high spirited and continually portrait good business relationship. Assisted by Ms. Jyn Anthony Beltran, Customer / Sales Representative and Ms. Mona Lagura, Purchasing Assistant Supervisor, Linearworks Corporation first time joining on this event was a success. Other companies like RSA, Allkey, On Semiconductor, Rohm Electronics, Analog Devices, Richtech who are based in PTC-SEZ Carmona and companies already doing business with Linearworks also joined the said event. Each companies has given booth designation where they display machine/equipment, actual product/printed catalogs, and discusses their services to potential clients. Other companies prepared games and freebies for the delegates and electronics enthusiasts to enjoy. From the support of Linearworks top management, managers and supervisors, joining this event is a stepping stone to improve and promote the company, its mission and its vision for the next coming years. Day 2 event attended by from left to right Joan Quijano (QMS), Mona Lagura (Purchasing), Sir Froilan Aniag (TNR) Jyan Anthony Beltran (Customer/Sales Rep.) Josie Suan (TNR), April Sausa (HR) and Marites Franco (Impex).